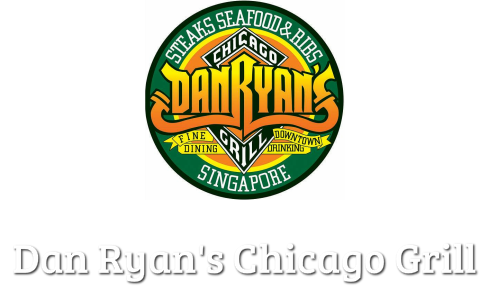 Dan Ryan’s was created in Hong Kong in 1989 and currently there are five Dan Ryan’s restaurants in operation in Hong Kong, Taiwan and Singapore. Dan Ryan’s offers authentic American steaks, ribs, sandwiches and salads in a friendly, lively and upscale atmosphere. Dan Ryan's operating mission is to serve consistently genuine, uncompromised American food to a standard exactly as one might expect in big city restaurants across the United States, at a price that guests regard as high value. Taking inspiration from a 1940’s Chicago bar and grill, Dan Ryan's features period music, vintage light fixtures and posters, an antique train circling above the bar, and an artist’s mural depicting vintage Chicago night life. Whether in a business suit or in causal attire, everyone feels comfortable in the relaxed setting.